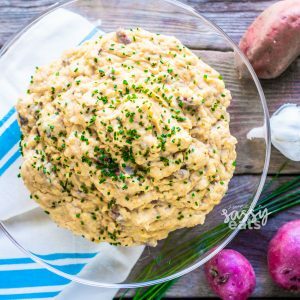 Mashed potatoes are probably the epitome of comfort food! 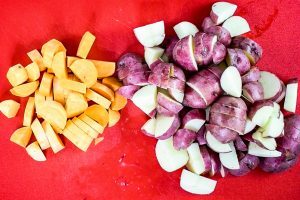 For me, I LOVE the creaminess that the red potatoes bring to the party. My other favorite addition is a little bit of sweet potato to the mix. 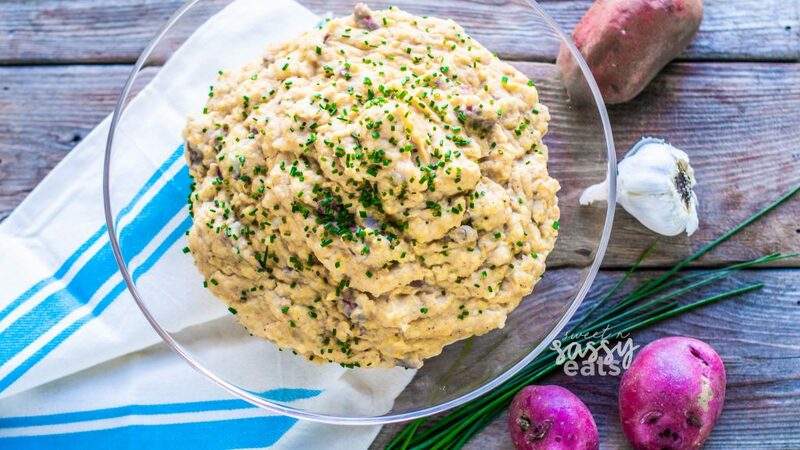 It adds another level of flavor and packs in some awesome nutrients but keeps the mash still tasting savory and not like mashed sweet potatoes. 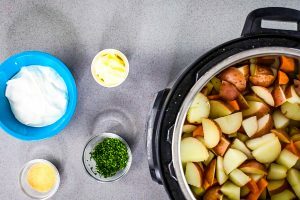 Cooking mashed potatoes in your Instant Pot makes your life easier because once you’ve chopped your potatoes you set the pot to cook and you don’t have to worry about draining the water or the water boiling over. Also, it frees up space on your stove for other items to cook, or it doesn’t heat up your house! The seasonings used are really ALL TO TASTE. Feel free to adjust to your liking, or try adding some parmesan cheese if you want a cheesy flavor! Use your creativity to get the flavor profile you enjoy! 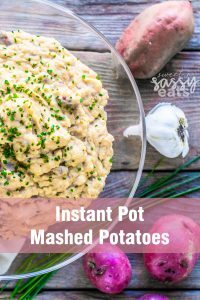 Creamy and flavorful mashed potatoes quickly prepared in your instant pot! 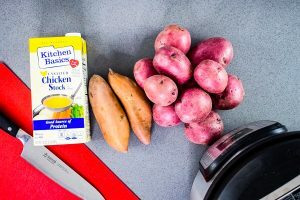 Add to your Instant Pot, pour in chicken broth and seal instant pot. Set to High Pressure and set the timer for 6 min. When the Instant Pot is complete, safely quick release the pressure and remove the lid. Add butter & mash slightly. Mix in ½ the garlic powder and all the sour cream. Stir and mash to your desired consistency. If it is too thick, add cream. Add ½ the chives and salt & pepper to taste. Add more garlic if you desire. Serve and garnish with remaining chives.